Ryerson University’s Faculty of Communication and Design and audiobook company Audible announced Tuesday, that a multifaceted project dedicated to audio entertainment and education will be offered to students. Audible’s investment will provide FCAD’s School of Performance with a new performance-training facility, sound studio and an annual scholarship fund. “We’re interested in developing not just audio performers but also writers, producers, and technicians, and we felt that working with Ryerson was an ideal way to further our goal,” said Jon Fleming, in an email to the Ryersonian. Fleming is the country manager for Audible in Canada. 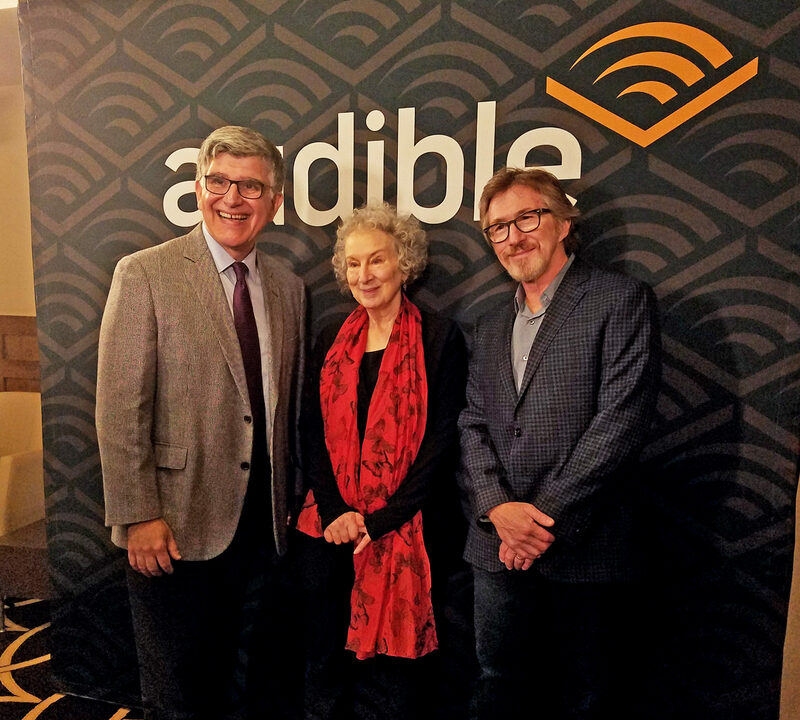 In September 2017, Audible launched its entry into Canada and it’s Canadian website audible.ca. 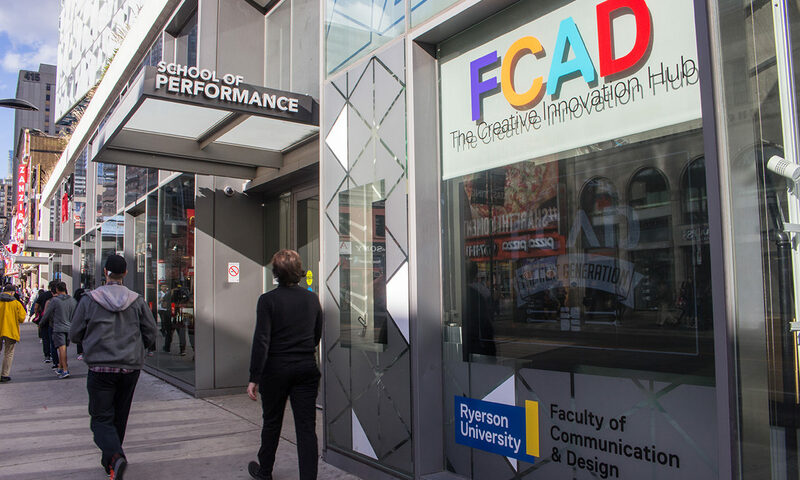 Charles Falzon, the Dean of FCAD, attended the launch as Ryerson and Audible were already in discussions. As part of the launch, the company announced a $12 million commitment to invest in resources and programs aimed at Canadian writers and voices. The new FCAD program and facilities are part of this larger financial commitment. Audible first partnered with Ryerson in 2017 to create more opportunities for students to learn about audiobook production. Last fall, FCAD hosted a number of workshops on audiobook production for students. “When we made our $12 million CAD commitment to amplifying Canadian voices last year, our goal was to increase the variety of Canadian stories that are told—both within the country and around the world—and to help develop the next generation of Canadian talent,” said Fleming. According to Fleming, the Ryerson initiative is the largest education investment audible has made to date. “It’s a big step forward technologically, but also in terms of creative possibilities for the students,” said Falzon. According to Ryerson’s press release, the investment will create the Audible Acting Studio and Audible Sound Studio. “This big renovation of the acting studio is a big deal because it’s acoustically treated, it’s going to be really good for audio recording,” said Falzon. The Audible Acting Studio will be a 1,400-square-foot performance-training facility for Ryerson’s School of Performance. Old classrooms will be repurposed and transformed into the new space, which will be located in Ryerson’s Kerr Hall West, near the northwest corner. The studio will house state-of-the-art technology that allows professional-quality audio recording of both individual and ensemble voice acting. “I think voice acting is a great avenue for actors and it would be valuable to provide learning actors with new career options,” said Oliva Tharme, a fourth-year acting student at the School of Performance. According to Falzon, preparing students for future careers was important to Ryerson when entering this partnership. “These kind of partnerships not only ensure that we have funds to have state-of-the-art facilities and offerings, but they also ensure that we are in the mind’s eye of some of the biggest hirers,“ said Falzon. The Rogers Communications Centre will also undergo a transformation. An existing audio production studio will be upgraded and turned into the Audible Sound Studio. This will provide students across FCAD’s nine school’s specialized technology geared toward audiobook production. Both studios are set to open Spring of 2019. Falzon hopes this new partnership will help make students aware of the amount of work currently available in the audio sector. “It’s a real growth opportunity for students as a way to earn a living, and to enhance their talent,” said Falzon. Students can expect changes in the classroom as well. In addition to the studios, Ryerson and Audible are introducing a new course in the performance acting curriculum. This class will help students develop their skills in spoken-word performance and production. “The relationship with one of the leading companies in the world gives it a layer of credibility in both the facility, and in terms of the kind of advice that they might give to students in some of the course work,” said Falzon. Audible is also establishing the Audible Scholarship. This annual scholarship will be awarded to a performance acting student who demonstrates exceptional talent in voice acting. The first scholarship will be awarded in 2019. “The whole theme of what we’re about right now is that FCAD is about talent for the creative era,” said Falzon.